Walsh University has announced that Associate Dean of Undergraduate Admissions Rebecca Coneglio has been promoted to Associate Vice President for Enrollment Management. Reporting to the Provost, Coneglio will have overall supervision of enrollment management and admissions at all levels in the University including undergraduate, graduate and adult student enrollment. Coneglio brings to this position more than 15 years of leadership experience in the creation and implementation of strategic higher education enrollment management plans. She began her career in 2003 with the Walsh Office of Admissions. Jessica Fasig will be promoted from Assistant Director of Admissions to Director of Undergraduate Admissions. 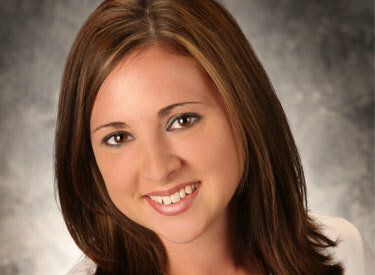 Jessica will supervise the staff and recruiting efforts of the Office of Undergraduate Admissions. Katie-Elisabeth Brown will be promoted from Assistant Director of Admissions to Director of Operations. Katie will support administrative, communications and data operations for all areas of enrollment management. Promotions are effective July 1, 2018. Graduate Admissions will remain under the direction of Audra Dice and the School of Professional Studies under Associate Dean Kevin Finefrock; both will join the enrollment management leadership team under Associate Vice President for Enrollment Management Rebecca Coneglio.